This past summer, Patriots owner Robert Kraft took 18 Pro Football Hall of Famers on a spiritual journey to the Holy Land in Israel. The list of players that attended were nothing short of legendary. Jim Brown, Joe Montana, Roger Staubach, Joe Greene, Cris Carter, Andre Reed, John Stallworth, Eric Dickerson, Marshall Faulk, Dave Casper, Jerome Bettis, Ron Yary, Aeneas Williams, Lem Barney, Willie Lanier, Mike Singletary, Andre Tippett and Bruce Smith. Among the highlights of the trip was a moment when the players had the opportunity to be baptized in the Jordan River, the same place where Jesus was baptized in the Gospels. Click the picture below to watch players get baptized. 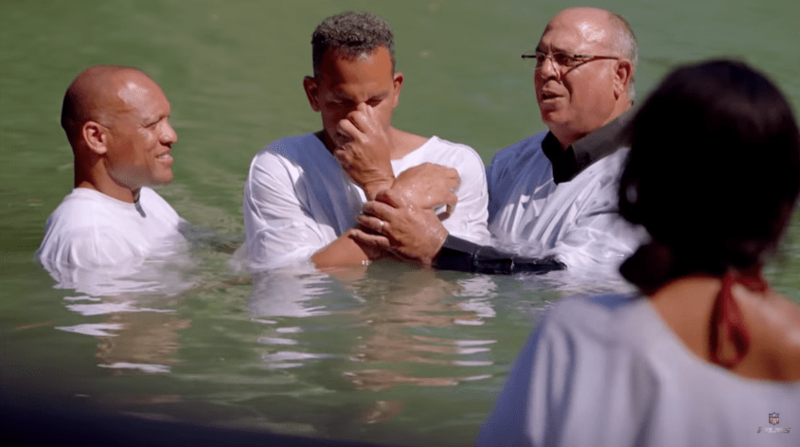 Helping to perform the baptisms was Arizona Cardinals legend Aeneas Williams, who also serves as a pastor at The Spirit Church in St. Louis, Missouri. In the video, Williams is seen sharing what baptism means. 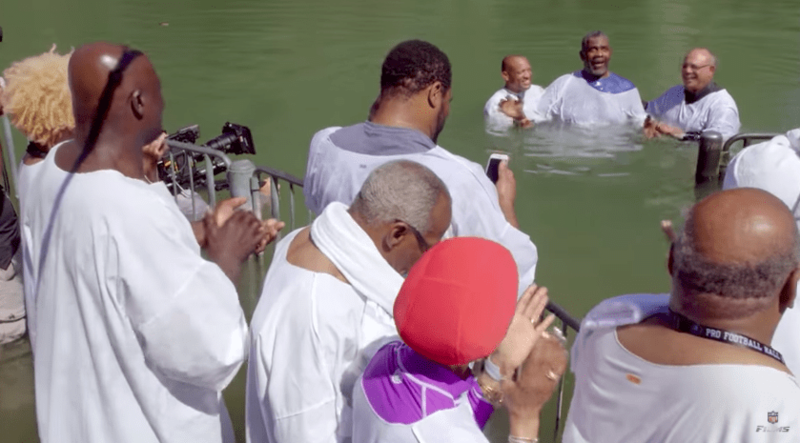 Among the players to get baptized in the NFL Films video are Steelers legends “Mean” Joe Greene and Jerome Bettis, Vikings legend Cris Carter, and Bills legends Bruce Smith and Andre Reed. 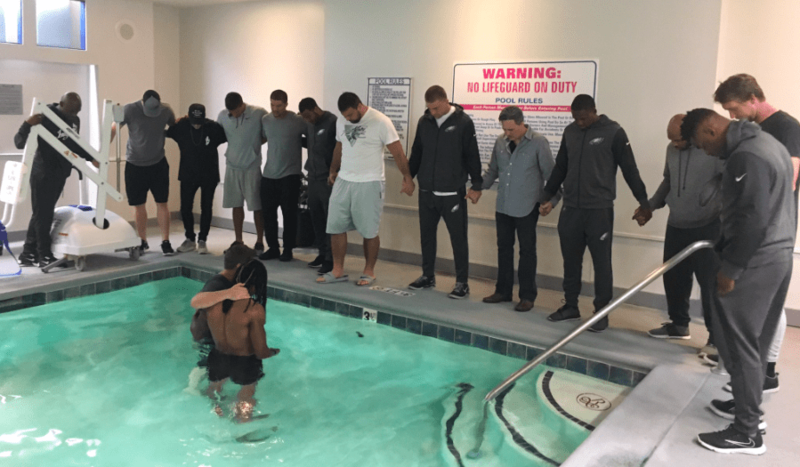 This isn’t the first time NFL players have been baptized in the Jordan River. In February of 2017, Saints Cam Jordan, Titans Delanie Walker, Jaguars Calais Campbell and Eagles Mychael Kendricks were among those to profess their faith in the Holy Land.